On a visit this summer to my favorite bookstore, Cover to Cover, Beth handed me a couple of books she thought I should try. One of them was Strawberry Hill by Mary Ann Hoberman. It's taken me over a month to finally find time to pick it up, but I'm so glad I did. I hate classifying books as either "girl" books or "boy" books, but I do think this book will appeal more to girls than boys. It will also appeal to children who enjoy stories set in a historical time, in this case, right after the Great Depression. The story is centered around 10 year old Allie and her family. For the longest time, her father had to live in a different town from the family in order to be employed. Now, he has a new job that makes enough money for him to buy a house on a street called Strawberry Hill. Unfortunately for Allie, this street is in a different town than the one where she currently lives. So, she will be moving away from the apartment she lives in and her best friend, Ruthie Greenberg. The move makes Allie the "new" girl, and she is filled with trepidation about that. Luckily, she has many good surprises when the family gets to their house on Strawberry Hill. First, there are two girls her age who live on the same street. Second, there is a real-live farm at the end of Strawberry Hill, complete with milking cows. Finally, her parents surprised her with a beautiful pink room (something she asked for and they said she couldn't have for a while). Strawberry Hill does have some references to religion. One of the first girls she meets identifies herself as a Catholic and tells Allie she goes to the Catholic parochial school. When asked what religion she is, Allie identifies herself as Jewish, and that she will be going to the public school. Though Hoberman never delves too deeply into these religious identifications, it does play a slightly important part in the story, especially as the story is set right after the Depression and World War II. As a reader, I was pleased with the gentle way Hoberman handled the topics of anti-Semitism and discrimination. The reason I feel that girls will gravitate toward this book is that it deals with real life friendship issues. Girls trying to choose a "best" friend, girls excluding other friends, and sometimes the way people can have a pre-conceived notion about someone that proves to be utterly incorrect. What was absolutely delightful to me was how Allie's younger brother, Danny, could assess the friends that Allie was trying to make with such clarity -- he was "spot on". Strawberry Hill is a book I will be sharing with my 5th graders tomorrow. I'll be interested to see who picks it up after my book talk about it. That will be one more piece of the puzzle as I'm getting to know my class as readers in the beginning of the school year. It's that time of year when all of the teachers in the Kidlitosphere are telling their back to school stories. I love reading all of them, but it's probably the one time of the school year when I miss being in the regular classroom. In our district the librarians get the first four days of school without kids to get new books cataloged, labeled and ready for the shelves, enter the students into the system for check outs and prepare the libraries for use by weeding and other reorganization of titles. It's time we all need and use every minute of, but it's tough when I see kids in the hall and I have very little opportunity to interact with them. Many of them have stopped in to see me and pick up their reward for finishing the summer reading program at the public library, but it's been limited and not very satisfying at all. The library looks great thanks to my incredible aid Yvonne's hard work over the last four days, but it's time, THE LIBRARY NEEDS KIDS TO BRING IT TO LIFE! I can't wait for Monday when they will come and we will share new books and summer adventures. 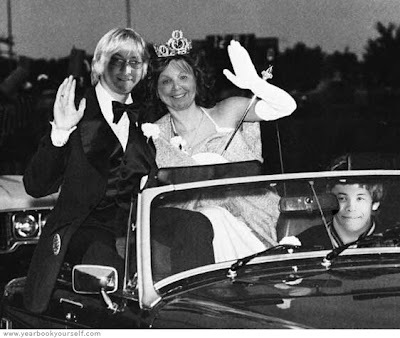 Last year the Kid Lit Bloggers got together out west for a conference which I really wish I could have attended. However, timing, distance and busy schedules didn't allow for that to happen. Such was the case with many of the Central Ohio Kid Lit Bloggers so we had a mini conference with breakfast (granola) and shopping at Cover to Cover. A good time was had by all, but many of us wished we could have been part of the national group. Imagine my excitement when I learned that the KidLitosphere Conference was going to be held in Washington, D.C., a short 7 hour drive. It also falls during a four day weekend for us so I can get out of here on Thursday after school and be there on Friday in time to do a little touring in the morning and then join the group for a tour of the Library of Congress. I'm pretty excited about that, in all of my trips to DC, I've never been to the library. On Saturday I'll spend the day with the group working to improve Literate Lives, meeting authors, and connecting with people that I've been reading for several years. Of the Central Ohio group Mary Lee will also be attending. MotherReader has a post that lists the participants that she will updating in the next week or so. All in all it sounds like and exciting weekend, and I CAN'T WAIT and I really think you should join us! First Day of School AND an Author's Visit, Too!! I know many teachers look forward to this time of year: the first day of school when we get an opportunity to meet the members of our community for the next 180 or so days. Today was that day. This day came with lots of change for me. I chose to move schools and work in a building whose leader shares similar philosophies about children and literacy as I do -- a wonderful plus. Because of this move, I left a fabulous community of children, parents, and staff (including my amazing team and my blog partner, Bill) where I used to work and am trying to learn more about the community in which I work now -- both a negative (missing what I left) and a positive (looking forward to new communities). But enough about that. Let me tell you what happened for our 5th graders on their very first day of school today -- Margaret Peterson Haddix came to talk to them about her latest release, Sent!! How cool is that?!! An author visit on the very first day of school! Haddix's book, Sent (the second in her new series, The Missing), was released in stores today. Her visit to us was a small kick-off for that release. How fortunate we are to live in the same geographical area that she does! In addition to a small presentation for the kids, followed by a question and answer session, Margaret also graciously autographed all the books that students purchased today. This group of 5th graders might be a new community for me, but I did find out that most of their 4th grade teachers last year had read Found, the first book in the Missing Series, to them. When the kids heard about the visit, they were pumped, and even better, they were knowledgeable about many of her books, including Found. Margaret Peterson Haddix started her session with a short synopsis of the first book, Found. She did it in a way that wouldn't give away the entire story for children who had not yet read the book. I am always fascinated to hear how authors get their ideas for stories, and Haddix did not disappoint. She said the idea came to her because she had fallen asleep on an airplane late at night, after a very long day and she was incredibly tired. When her plane landed at Columbus, she woke up confused, not knowing who she was or where she was for a moment. From there, a book was born . Having the opportunity to hear an author read her own work is truly a gift. They read with the inflection and the pacing that they imagined as they wrote their story. So, when Margaret Peterson Haddix read aloud to our group today, I was mesmerized and so were the children and the other adults in attendance as well. She read part of the first chapter of Sent, where it sets up the premise that the kids are traveling through time back to the 15th century. She shared with the students that she plans to have seven books in The Missing series. The next book in this series will also involve time travel, but she'd like to keep the century a secret (though she was feeling generous and did tell our kids), and the title of the next book is Sabotage. What a great title!! As a writing teacher, I loved when she told our 5th graders that she likes trying to find the best words for the story she is writing. What a great lesson for our students to hear! During the question and answer time, she was incredibly patient. All questions had value for her, she answered them thoroughly, and she usually made a comment about how glad she was that that particular question was answered. Talk about an author who can make children feel good about themselves! 2) She will be writing the 10th book in the 39 Clues series. I believe she said that she follows Linda Sue Park's part of the series. Margaret Peterson Haddix in our school on the first day -- that will be something these 5th graders will remember for a long time to come!! What a gift!!! Hatchet by Gary Paulsen has always been a favorite of my students and me. The excitement of Brian surviving in the Canadian wilderness with only what he finds on the crashed airplane and in the forest around him is a real page turner. As I read Escape Under the Forever Sky by Eve Yohalem, I couldn't help but think about the similarities in the two stories. In Escape Under the Forever Sky, Lucy Hoffman, daughter of the U.S. Ambassador to Ethiopia, feels cooped up. Her parents' jobs have taken her to many exciting places around the world, and she has experienced more in her 13 years than most do in a life time. However, as the daughter of a U.S. government official in a hostile country, her mother keeps her sheltered from the beauty and adventure that live outside the cement walls and barbed wire fences around the American compound. Lucy is determined to see Ethiopia in all of its natural glory so she schemes with two friends from the International School she attends. The three of them have had brushes with some unfriendly townsfolk during their adventures, which only makes Lucy's mom tighten the security around her. Both of Lucy's friends are native Ethiopians and don't understand the danger that their outings cause for her. On a trip to the market place, Lucy is kidnapped and taken hostage by two men, one of them the driver for one of her friends. Lucy is taken to a remote location and locked in a makeshift shack until the demands are met. Things don't work out quite the way the kidnappers hoped, and Lucy is left with no choice but to escape into the Ethiopian wild surrounded by wild animals and a few unfriendly people. Lucy encounters hyenas, warthogs, and thirst. At one point the kidnappers catch up to her and the only thing between Lucy and them is a group of lions. This was the inspiration for the story, it's all based on a 12 year old girl who escaped her kidnappers and was protected by a group of three wild lions. The tension of this portion of the story is real, and Eve Yohalem builds it and brings the reader right to the watering hole with Lucy. I simply could not stop reading until I had resolved it. Just incredible! Lucy also encounters a native tribe during a festival and is invited to participate. Once again, the writing is awesome! Obviously the author has done her research because the detail of the ukuli bula the leaping over the bulls festival puts the reader in the middle of the village, as the boys run across to prove they are ready for marriage. Well done! Escape Under the Forever Sky is more than Hatchet with a female character, it's a look at life in the wilds of Ethiopia. It's descriptive and exciting and a real page turner. I'll be recommending this to the 5th graders, especially those that love Gary Paulsen's saga of Brian. Watch the cool trailer here. I recently saw the new Phyllis Reynolds Naylor book Faith, Hope and Ivy June on a Newbery watch list I was looking at, and since this whole library, literacy, blog path I'm on started with looking for Newbery winners, I picked it up at my local branch of the library when I saw it on the new books table. The premise of the book is an exchange student program between a private girls' school, Buckner Academy, in Lexington, KY and the mountain school at Thunder Creek, a coal mining community deep in the hollows of the Appalachian Mountains. The two girls, Ivy June Mosley of Thunder Creek and Catherine Combs of Lexington, are chosen in very different ways. Catherine was required to write an essay expressing why she wanted to participate and what she hopes to gain from the experience. Ivy June just had to make sure it was ok with her parents and then her name was placed in a coffee can for a drawing. Ivy June lives with her grandparents, ever since her parents' house got too crowded with kids, in a small house that has no indoor plumbing, heated with a coal stove, and Mammaw uses a wood stove to prepare delicious home cooked meals. Catherine lives in a good sized home with 4 indoor bathrooms, air conditioning and a lady who comes to help prepare the meals while her mother recovers from pneumonia. Ivy June's father is unable to find steady work due to his poor health and her family depends on help from her Pappaw who has worked in a coal mine since the age of 15. He doesn't like the work but is determined to be the hardest working man in the mine. Ivy June's older sister also helps out with her job at the sweatshirt factory. Catherine's father runs the family printing business that he took over from his father, who took it over from his father. He doesn't necessarily hate the work, but his dream was to be a commercial pilot. Now his dream is for one of his children, preferably his son, to take over the business from him. Ivy June's family doesn't have a phone because the phone company hasn't gotten around to running a line that deep into the hollow. They depend on the phone at the general store or the school or Sam Freeley who has a short wave radio to communicate with the outside world. Catherine has a cell phone and computer and uses them to stay in touch with friends and family. Ivy June and the neighbors gather at Earl's General Store on a Friday to dance in the parking lot socialize. Catherine's family attend musicals at the Lexington Opera House after eating dinner at sit down restaurant. Ivy June's family doesn't really encourage her dreams, but they don't discourage them either. The motto of the family is "Want what you have and that will be enough." Their simple life suits them, but there is the feeling that getting out of the life style is discouraged. All the kids have chores and must contribute in order for families to survive. Catherine's family is full of encouragement and positive reinforcement for the children, but Catherine at one point questions whether she and her siblings are really "needed" for anything other than completing the family. Faith, Hope and Ivy June is a wonderful look at contrasts between two very distinct life styles, but it also, through family tragedies, points out how, regardless of where we live, we have just as much in common. I'm thinking some 5th grade girls are really going to love this story. I was visiting the local public library recently, and I found a book I had heard about from 100 Scope Notes (his review is hysterical and worth the read!!) -- Dying to Meet You: 43 Old Cemetery Road by Kate Klise. Because I tend to enjoy the books he recommends, I put it my pile to go home. It didn't disappoint. Dying to Meet You appears to be the first in a new series written by Kate Klise and illustrated by M. Sarah Klise. As I read it, I couldn't help but appreciate how it is organized to help a 5th grade reader that needs some more support. The front end pages are a cut-away diagram of the house in the story with the rooms labeled in a more map-like way on the other side. Right after that, the reader is introduced to all the characters before reading, with brief descriptions of each. I'm going to digress for a moment, and say that the names alone are a hoot!!! Anita Sale is a real estate agent. Paige Turner is the publisher of children's books. E. Gadds is a lawyer. Seymour Hope is the child who is one of the main characters. Frank N. Beans is a private investigator. Professors Les and Diane Hope are Seymour's parents. Olive C. Spense is the house's resident ghost, and another main character. If you're not already laughing at this play on words, you probably have a more mature sense of humor than mine. :) Luckily, I think kids will think it's funny. Back to the supports: the entire story is told through letters, drafts of another main character's (Ignatius B. Grumply) next book, and the local newspaper articles. The difference in font and size for each letter is bound to hold a reader's attention. Add in some great illustrations that emphasize the humor, and you have a very appealing book to children! The premise of the story is that Seymour (young boy) and Olive (ghost) are living in a large run-down mansion by themselves. Seymour's parents are abroad giving lectures about how ghosts are NOT real, and Ignatius (author) is getting ready to rent the house for a while to try and write his next children's book. Ignatius is very grumpy and has a bad case of writer's block. When he discovers a young boy living on the 3rd floor of the house he has rented, he throws a fit, and writes to both Anita (realtor) and E. Gadds (attorney) in an effort to get out of his rental contract. With Olive playing practical jokes on him as well, things get pretty uncomfortable. After enjoying this book so much, and having a few belly laughs along the way, I am so glad that Dying to Meet You is only the first time we will meet these quirky characters. I think the setting and the characters are ones that my students will want to come back and revisit time and time again as the series continues. I'm still looking through my options for read alouds, and as I said in my first preview post, I'm adding to my list of possibles here. 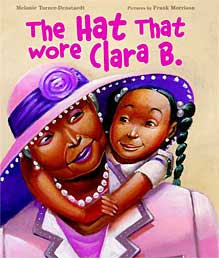 The Hat Th at Wore Clara B. by Melanie Turner-Denstaedt, Illustrated by Frank Morrison: It's a tradition on Mother's Sunday in Clara B. 's church for the ladies to wear elegant, beautiful hats to church. Her grandmother's hat is possibly the most beautiful of all and Clara B. wants nothing more than to wear it. She hatches a plan to get that chance even though grandmother doesn't want her to and of course, tragedy strikes, causing serious damage to the hat. Incredible illustrations along with the multicultural themes make this a real possibility in THE PIT this year. 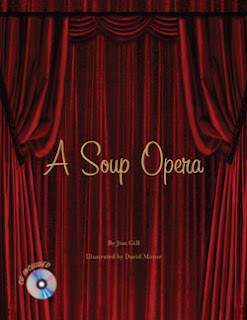 A Soup Opera by Jim Gill, Illustrated by David Mo ose: A simple funny "opera" about not having a spoon to eat your soup. This one promises to very fun and VERY NOISY in THE PIT. I'm already visualizing kids singing "opera" and acting it out. It also comes with a CD with the musical version. My son and I already sang A Soup Opera at our table when I read this book for the first time. This one, if I can get my hands on a copy, will definitely be performed in THE PIT! The King's T aster by Kenneth Oppel, Illustrated by Lou Fancher & Steve Johnson: A dog serves as the taster for a boy king who refuses any of the good food that the cook is preparing. After trying everything, it is discovered that the boy king is sneaking candy at night and isn't hungry. Excellent story and of course, with illustrations by Fancher and Johnson, it immediately caught my eye. I love the illustrations created by this team and have shared at least one of their books every year. 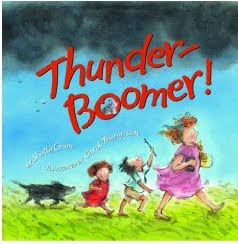 Thunder Boomer by Shutta Crum, Illustrations by Carol Thompson: A summer storm c lears the heat on the farm and leaves behind a surprise for the family. The story is told through free versed and excellent pictures. I'll be using this book this year to work toward my goal of including more than just the funny stuff! I like this one a lot. 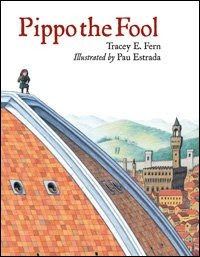 Pippo the Fool by Tracey E. Fern, Illustrated by Pau Estrada which I already reviewed here, is a definite read aloud. Love the story and pix in this one. Let me clarify the "year 2" part of this title. I've actually been thinking about read alouds and trying to make the best possible choices for my students for the last 26 years. :) It's just that this is the second year I've put my thinking into the written word. I wrote my thoughts about read alouds this year for the Choice Literacy website. 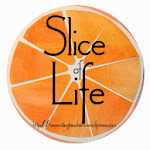 Brenda Power, the editor of the Choice Literacy weekly newsletter, The Big Fresh, has generously given me the ability to link readers of our blog to my article at Choice Literacy. This way, anyone who might be interested, is welcome to check out my thinking about books to read aloud with my 5th graders this coming year. I have already realized I'll need to write a second article with some revisions mid-year. I unintentionally left out two of my very favorite authors and their newest books -- Small Adventure of Popeye and Elvis by Barbara O'Connor and James Preller's newest, Bystander. I'm sure that there will be more I want to add as the year progresses, as well. After you read the article, I'd love to have you stop back here and share your thoughts. Thanks, and here's wishing many magical moments of read aloud for all teachers and their students! I just read a blog post written by a reading teacher in a middle school. Her school district is requiring her to "teach" a canned reading program to her 7th and 8th graders. I find the concept of this program, as well as its parameters, very dismaying. I know we don't normally take on controversy here at Literate Lives, but I was so appalled after reading this post that I knew I had to do something. This program contradicts every single belief I have about reading -- the biggest one being that readers should have choice in what they read, and their choices should come from good books, including many current books that are available. We should fill our rooms with wonderful reading choices. And, after you read this post, you have to ask yourself, "How will these children ever become life-long readers?" This post is beyond sad. So my little protest of this situation is to link our readers to this teacher's post. I hope you take the time to read her post, and maybe even leave a comment for her. A friend of mine recently handed me a copy of Love, Aubrey by Suzanne LaFleur to read. She warned me that it was sad, and she was right. But, more than sadness, this book was a testament to the strength of the human spirit - both of Aubrey, the main character, and some other very important characters around her. The story begins with Aubrey, an 11 year old girl, living alone in her house in Virginia, eating whatever she likes and watching as much TV as she wants. At first, this is enjoyable for her, but the reader is left wondering where everyone else is. About half-way through the first chapter, we find out there has been a wreck (we don't know any specifics, or what kind of wreck it is). We also learn about the other people that lived in the house: Aubrey's mom, Aubrey's dad, and Savannah. Where those people are now is not clear yet. We also meet Gram in the first chapter. Gram is a force with which to be reckoned. She is Aubrey's grandmother, her mom's mom. When Gram arrives at the house and realizes Aubrey is all alone, she takes charge and takes her home with her to Vermont. While I read, I knew she must be grieving as well, but she stays strong because Aubrey needs her. In Vermont, Aubrey meets some very pivotal supporting characters: Bridget, who is Gram's next door neighbor and the same age as Aubrey, the rest of Bridget's family (a mom, dad, and little sister), Marcus who is a boy at the new school Bridget attends near Gram's house, and Amy, the guidance counselor at the new school who seems very attuned to children and the issues they have in their lives. These are the people who help Aubrey navigate her grief. While in Vermont, we begin to learn more and more about what actually happened to the rest of Aubrey's family. There was a terrible car accident, and Aubrey's dad and her sister, Savannah died. We learn this in 3 different ways: 1) letters that Aubrey writes to Savannah's imaginary friend, 2) conversations that Aubrey and Gram have, and 3) flashback memories that Aubrey has about different events with her family. The reader also learns what happened to Aubrey's mom (I don't want to give everything away). This isn't a story where grief is easily conquered. It is realistic -- Aubrey gets a little better one day at a time, but there are many moments where she backslides and has to start the process over the next day. The resiliency of this eleven year old brought tears to my eyes over and over again. Love, Aubrey is not a book that some of my 5th graders could read without support. Ther is much inferring that has to happen through Aubrey's letters, memories, and the situations in which she finds herself. That being said, this is most definitely a book I want to put into kids' hands. It would lend itself well to a Book Club conversation. It truly is an amazing book, and will have readers talking about it and the characters for a long time. Important to note, Love, Aubrey is Suzanne LaFleur's first novel. Congrats to her on such an amazing story! Karen and I would like to apologize for the lack of posts over the past several weeks, but as you can see from the photo, we've been pretty busy. We promise to do better, stay posted! I just took a close look at the calendar and realized that I only have a little more than a week before I have to report back to school. WARNING: TO THOSE THAT KNOW ME WELL, SIT DOWN BEFORE YOU READ THE NEXT SENTENCE! 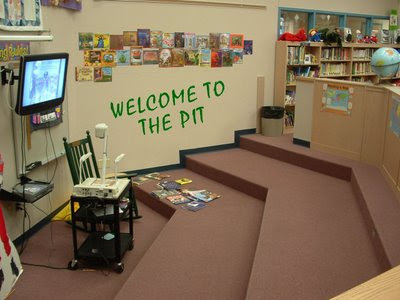 I was out to the school yesterday, just starting to get things organized and realized that I should get serious about picking books to read aloud in THE PIT! So, as a way of making my list I thought I'd put it in writing here so I have a list to refer to when the year gets hectic and I'm scrambling for a title. I'm not saying I'll be reading all of these titles because there will be new stuff coming out that will move onto the list as the year goes on, but it should be a good starting point. Gone With t he Wand by Margie Palatini illustrated by Brian Ajhar: I bought this at the end of last year and never got around to sharing it. It deals with a aging fairy godmother who has declining wand skills. Her friend the Tooth Fairy helps her find a new line of work, re-tucking kids in at night after they are awakened by the Tooth Fairy. It's fun twist on fairy stories with awesome, funny pictures. Margie Palatini books are always a hit in THE PIT! Read It, Don't Eat It! by Ian Schoenherr: A fun look at taking care of a book from the library. Fun easy rhymes and excellent pictures will make this a good book to begin the year with to remind the kids how to take care of our books. 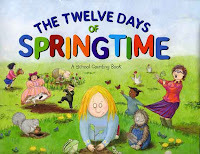 The T welve Days of Springtime by Deborah Lee Rose Illustrated by Carey Armstrong-Ellis: A take off on The Twelve Days of Christmas with very funny rhymes and pictures. It will be fun to look for the kids that appear in every illustration. The favorite for my kids, yes my teen agers, was the nose picker. Very funny with lots of laughs in THE PIT for sure! It's another in the Deborah Lee Rose twelve day series. 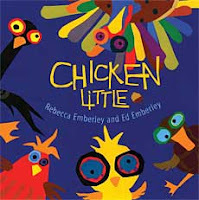 Chicken Little by Rebecca and Ed Emberley: A father daughter team created this new look at an old classic. The pictures are very cool with bright colors and funky shapes. The word choices will make this fun and possibly noisy read aloud. I do love a good noisy read aloud! So that's a start. There will be more and I'll try to update this list over the next few days as I go through my list of summer reads. Andrew Clements is very popular in the library, his books don't stay on the shelves and teachers love to use them in class. The fact that he writes about kids and issues that kids can relate to, make him a favorite. I was excited when I went to the library and found a new novel by the king of the kid sized dilemma. Extra Credit deals with a struggling sixth grade student Abby Carson. Actually Abby is beyond struggling, she is about to be held back due to her lack of interest in her school work. Abby loves the outdoors and has taken a real interest in rock climbing thanks to the wall in her school's gym. After receiving a warning letter from the guidance counselor Abby talks with her parents who feel as if they have failed by not paying enough attention to her school work and also a little angry that Abby promised to do better after her last grade card, but didn't hold up her end of the bargain. Abby informs them that she has a plan to talk with her teachers to see if there is anything she can do to avoid being held back. Her parents commit themselves to making sure homework is done first before Abby is allowed to explore the woods on the farm where they live. Abby's teachers present a deal, Abby must complete all homework on time, earn at least B's on all tests, and complete an extra credit project assigned by her language arts and social studies teachers. Abby chooses a project that includes writing a pen pal in Afghanistan and creating a bulletin board to share the letters with her classmates. Bring on Sadeed, a bright Afghan boy about the same age as Abby. When Abby's first letter arrives the village leaders meet with the teacher to choose a student to become the pen pal. Sadeed is the obvious choice because of his abilities in English but culturally it would be inappropriate for a boy to have correspondence with a girl in America. It is decided that Sadeed will help his younger sister with the English so the letters will come from her. As they begin to write the first letter Sadeed realizes that his sister is not really up to the task and begins to put more of himself into the letters, eventually, he sends two, one from his sister and one from him. This is where Andrew Clements is at his best, creating the dilemma! Abby has the dilemma of whether to share Sadeed's letter since he asked her not to and because it is more personal than the letter from his sister. Sadeed has the dilemma of how to cover the fact that he is writing letters to an American girl against the wishes of the village leaders. 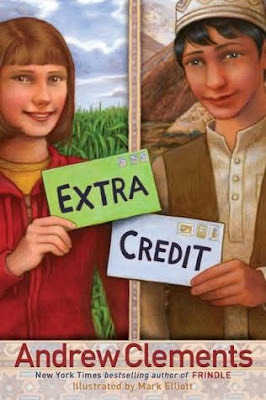 Andrew Clements is great at bringing the cultural differences to a level that will be understood by kids. He gives detail of life in Afghanistan in a manner that is descriptive and real. As always, he writes a story in such a way that will keep the kids turning pages at a reading level that is good for many ages, grades 3 through 5. Once again, Clements has provided an accessible, enjoyable novel for kids.